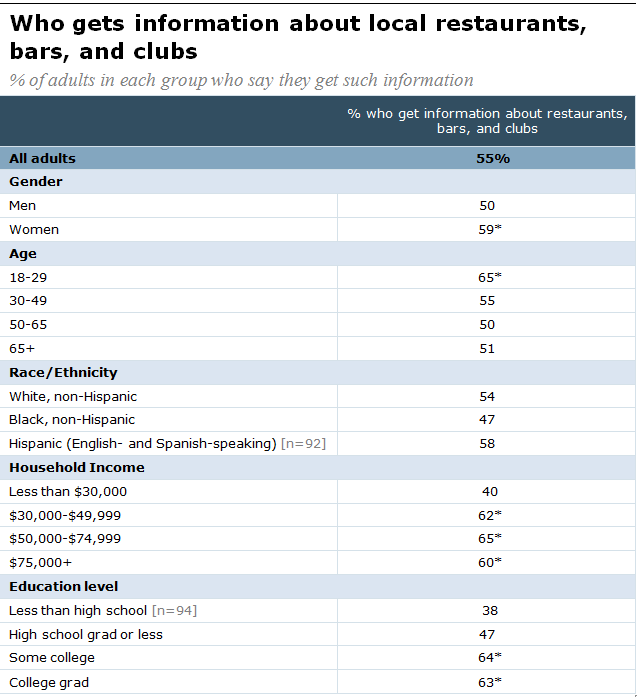 Those who are heavy local news junkies are considerably more likely than others to get material about local restaurants. We asked people about their use of 14 different kinds of sources to get local news and their frequency of using those platforms. 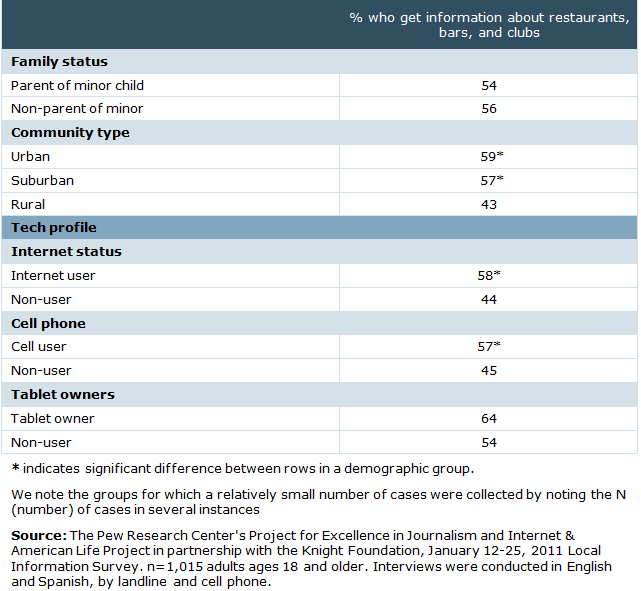 When it comes to restaurant information, 71% of those who used at least six platforms monthly got news and information about local restaurants, compared with 34% of those who relied on just one or two sources. 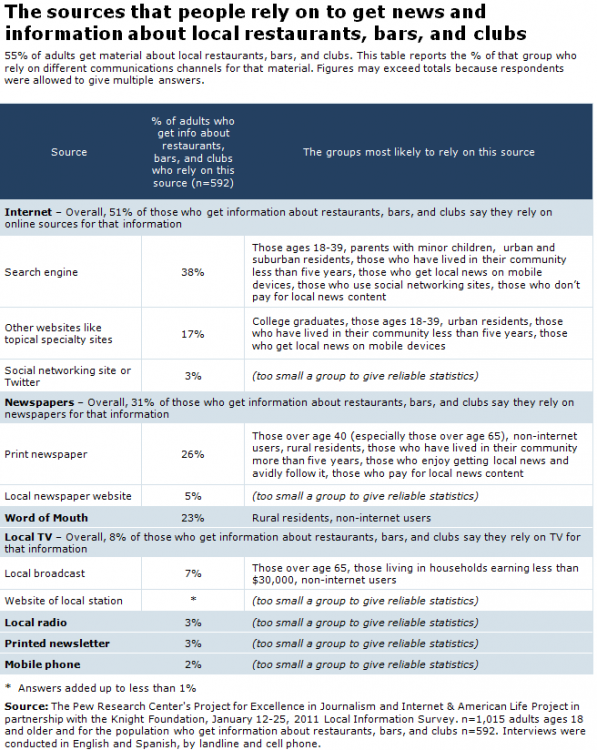 Additionally, we asked people if they got local news and information their cell phones, and 47% of all adults said they did.These mobile consumers, who were younger and more upscale in terms of their household income and educational levels, were even more likely than others to get material about local restaurants: 62% of mobile local news consumers got information about local businesses, compared with 48% of others. Internet: 51% of those who get information about local entertainment businesses rely most on some kind of online source for that material.